The School of Nursing has a history of engagement in community outreach and partnerships that promote health in the southeastern North Carolina region and beyond. In the service area, faculty practice, serve on community boards and advisory panels, collaborate with county health and social agencies to host health programs and workshops, and consult with national and international groups such as pharmaceutical and biotechnology corporations. In order to fulfil the university mission of achieving mutual benefits for the community and university, the School of Nursing works closely with the Nurse Advocate Board and Community Advisory Council. Doing so ensures faculty are educated on relevant and emerging issues related to current nursing practice within our community, including quality of care and patient safety. This is important as it helps shape student curriculum reflecting the regions most pressing and current nursing needs. In return, graduates are prepared for the kind of work that hospitals, clinics, and clinical research facilities are looking for within Southeastern North Carolina. To visit the Advisory group page and read more about these important groups, click here. 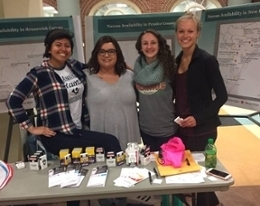 Students work with clinical faculty in New Hanover County public housing communities and a Pender County outreach center and food bank to provide health education and screening events to those in need across the Southeastern Region. Students also gain experiences with nurse preceptors in health departments, homeless shelter, school health, community clinics, home health, hospice, and the VA in counties across the region. Two key and innovative partnerships in development include the Academic Health Department (with the New Hanover County Health Department) and the Research Partnership for Health (with MedNorth Health Center, a federally qualified health center). These partnerships will facilitate co-learning, team research, and inform professional practice and create opportunities for undergraduate and graduate students, faculty, and practice partners. These partnerships allow students and faculty to work together with local communities who have limited access to health care resources. The Simulation Center offered middle school students from Myrtle Grove Middle School the opportunity to get a behind the scenes look at the simulation learning center as part of the governor's "Students at Work" program. This initiative was designed for underserved middle school students that allows them to visit various professional organizations. 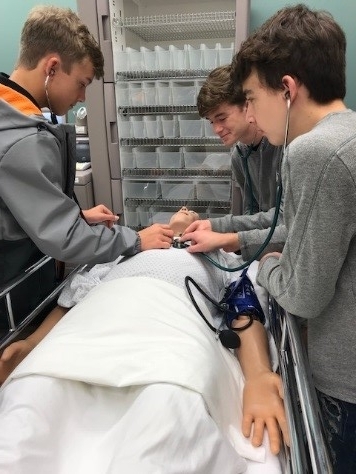 Students get the opportunity to tour the SLC to observe the technology and how the simulation manikins are used in the nursing program and within other disciplines. The students learned how to use stethoscopes and take pulses. Faculty from the Clinical Research, Exercise Science, Gerontology, Recreation Therapy and Social Work programs also spoke to the students about their fields of study. In addition, faculty shared information on various professional positions their students obtain after graduation.